Another huge concern during your third trimester is how to sleep during pregnancy. The main reason why sleep becomes such a problem during your third trimester is because it's very hard to get comfortable. Finding a position that's comfortable is difficult; you really need to only sleep on your side, if at all possible, since sleeping on your back compresses the artery and veins in your lower back. The weight of the baby pushes on them and can cause some problems from not getting enough circulation down through your legs. You can have pins and needles sensations and you can have problems with circulation and other parts your abdomen. It's important to avoid sleeping flat on your back for long periods of time during your third trimester. A lot of women wake up flat on their back in the middle of the night. This is especially common if they have been back sleepers their whole life. Not to worry if this happens occasionally. You want to take steps to make sure it doesn’t happen all the time though. In addition to compressing the blood vessels in your back, sleeping on your back encourages your baby to assume a sunny-side-up, or posterior, position where your baby is facing your belly button as opposed to your spine. Typically, one of the biggest reasons you're not going to sleep flat on your back is because it becomes very painful. It's important to sleep on your side if at all possible. We have a couple of neat tips to help you. Let’s talk about a couple other tips for how to sleep during pregnancy. I mentioned the nasal strips, the nose strips and the nasal rinses in the congestion section. Those are excellent things that can help you, so that you're breathing more easily and not waking up gasping for air or waking yourself up because you're snoring. During your third trimester, you will have to go to the bathroom more often and so the real problem for a lot of women is you have to get up every couple of hours to go to the bathroom. Also, pregnancy hormones kick in to start preparing you for breastfeeding, but we find that a lot of pregnant women wake up every couple of hours, both during the last trimester and for the first few months after their baby is born. The frequent waking after baby is born is often so they can nurse their baby every few hours. This might also be a hormonal response to helping you prepare for and take care of your baby when it's born. Any kind of caffeine during this time is a really bad idea, especially in your third trimester because it is not going to help you sleep well. This is also true for sodas; they have a lot of caffeine and sugar, so hopefully you're not drinking those. If you are still working to master how to sleep during pregnancy, then naps during the day, if you're having trouble getting enough sleep during the night, is always a great idea. So try drinking a warm beverage before going to bed. Milk has tryptophan in it, which can help you sleep. A protein snack, such as turkey, also has tryptophan, which is known to help with sleep. Another tip for how to sleep during pregnancy; make sure you get enough exercise. Light exercise will help circulate your blood and relieve stress so that it is easier to sleep. Even though you might not walk quickly, you might not even be getting your heart rate up like you used to earlier in your pregnancy, it is still very important to get out and waddle (wink, wink) on a regular basis while you're pregnant. Not only is it going to help you sleep, but it's also going to help your baby come down into your pelvis and assume the best possible position for birth. While you're walking, the movement itself provides space for your baby to move. One of the things that you will find as you progress in your third trimester is that your baby is going to move less and less because it just does not have room to move. Doing things like the cat stretches that we mentioned before and squatting really help open up some space, to allow your baby to do some of the movements it needs to do to get comfortable and also to get into the best possible position for birth. Yoga can be really helpful for this as well. Still having trouble? Essential oils are another tip for how to sleep during pregnancy! From an essential oil perspective, one of the things that many women enjoy is having lavender oil rubbed into their feet at night, as it can be very relaxing and helpful. It can help prevent stretch marks due to some of the problems with sleeping and your mucous membranes becoming dry and much more sensitive. In addition to the nasal rinses, you might find that having a diffuser in your room with a couple drops of lavender, frankincense or Bergamot might actually be very relaxing and help keep your sinuses moist, so that you don't have trouble with nose bleeds or dry cracking and irritation. 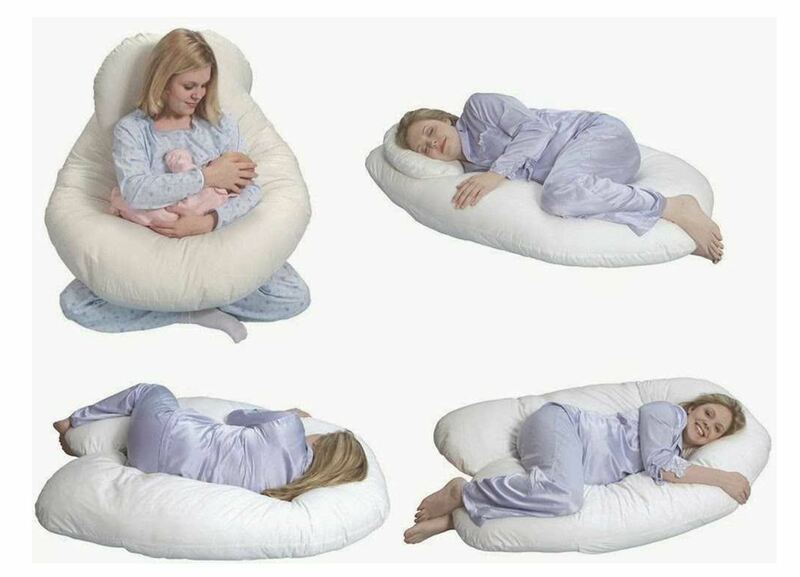 My favorite secret when it comes to figuring out how to sleep during pregnancy is the U-pillow. I want to encourage you all to become shameless bed hogs, especially during your third trimester. Every one of my pregnancy and childbirth students has raved about their U-pillow! 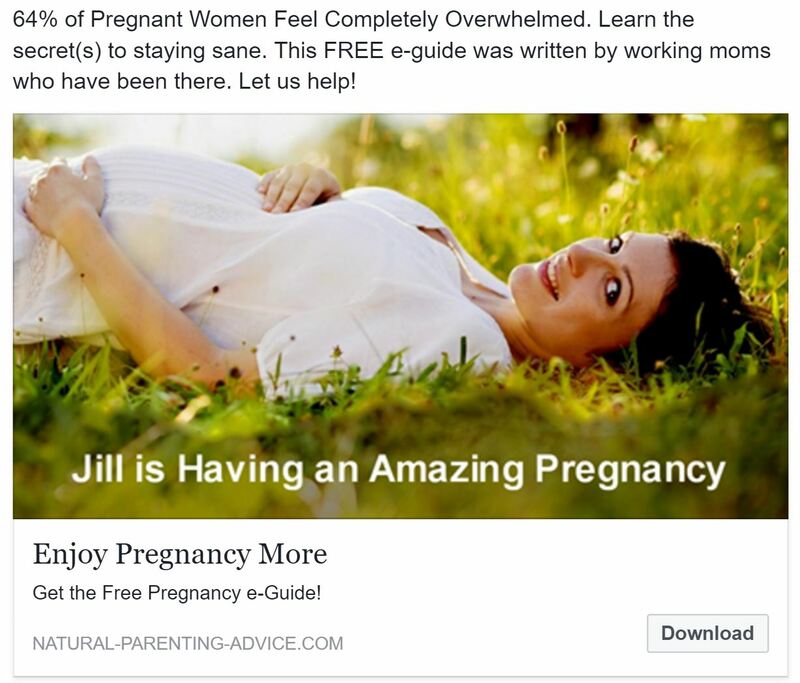 It will help you survive your third trimester. The U-pillow supports everything. It is your key for figuring out how to sleep during pregnancy. Did you know that your pelvis expands and becomes wider while you're pregnant? Even after pregnancy your pelvis will remain wider than it was prior to pregnancy. That puts a lot of pressure of your tendons and ligaments on the outside, particularly in sciatic area, on the outside of your leg. In order for your knees to be in alignment, something needs to be in between them while you're sleeping. Having something in between your legs is incredibly important. It's also incredibly important to support your stomach properly. Being able to fit the U-pillow, so that is supporting your belly in a way that's not pulling on your back and on the tendons and ligaments in the side of your belly that are working so hard, particularly during the day, is going to make you a lot more comfortable and improve your rest. With a U-pillow you will be able to easily figure out how to sleep during pregnancy because every night will be different. Your body is constantly changing as your baby grows. Your U-Pillow will allow you to find a comfortable position no matter what has changed! A U-pillow will also help support your breasts as they get large and engorged as they prepare for breast feeding and when they're especially tender and sensitive. It also helps get your neck and head in alignment. The U-pillow comes around the back of you and supports your back. It provides the body with a lot of support, and it makes a huge difference in your level of comfort. It also helps prevent you from rolling over in the middle of the night so that you are sleeping flat on your back. Look into getting a U-pillow if at all possible. There are lots of places you can get them online. It can make a huge difference, especially during your third trimester when you have to figure out how to sleep during pregnancy, all over again, every night.